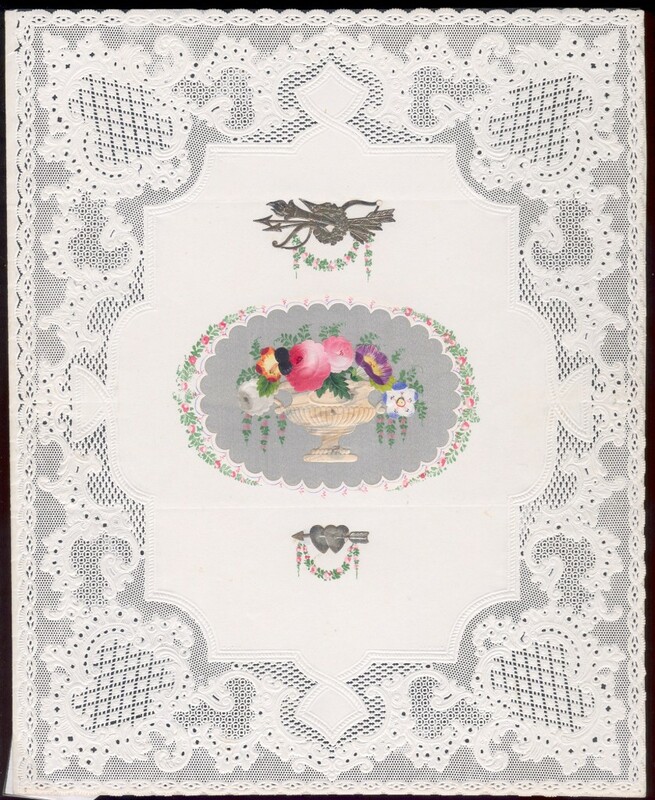 Here is an opportunity to acquire an original and unused mid-nineteenth century paper lace Valentine with hand-painted garlands. The central silk panel features an urn of colourful flowers, all cut out and hand-painted. There are two light horizontal fold lines that indicate how the card was originally intended to be folded for sending. Otherwise the card is in excellent and clean condition.